CH2M and VolkerStevin have a long, successful track record of working with United Utilities (UU). 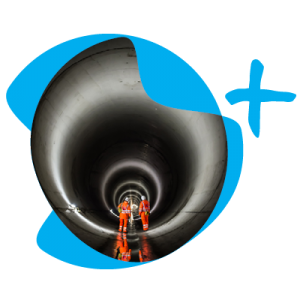 As a joint venture, it was our leading expertise in the industry that led to us being one of the AMP6 partners at United Utilities – but we will not just stop there. We are working together to provide a top quality service, as we run with the times and change to meet and exceed industry needs. Jacobs-CH2M and VolkerStevin have a long, successful track record of working with United Utilities (UU). Both companies also work together in other sectors including flood defence, environmental and marine for clients such as the Environment Agency and the Ministry of Defence. Jacobs-CH2M is a major international and multidisciplinary design consultancy with a long history and proven reputation of working in the water sector, undertaking design and construction work. It has in excess of 25,000 employees around the world. The company was founded in 1946 by three former students and a professor. As an employee-owned firm, Jacobs-CH2M has fought to retain a family feel throughout its development and prides itself on working with its clients to tackle their most complex infrastructure and natural resource challenges. The joint venture (JV) draws primarily upon Jacobs-CH2M’s design expertise in the engineering disciplines of: process, civil, hydraulics, structural, mechanical, electrical, ICA, geotechnical, environmental and architectural. The main design centres supporting the JV are located in Warrington, Glasgow, Krakow and Corvallis; however specialists from other offices and skill areas are mobilised when required. VolkerStevin has a long history and well-earned reputation for delivering clean and wastewater infrastructure and non-infrastructure projects. Supporting major utility companies and other private sector clients; it helps maintain and improve their assets to ensure that households and businesses across the UK receive good quality water, sanitation and drainage services. VolkerStevin also work to ensure that they comply with stringent legislation and other demands imposed by population growth, climate change, carbon reduction and rising energy costs. Built on over 80 years’ experience and a professional in-house team, VolkerStevin provides complex engineering solutions across a wide range of sectors including water, flood risk management, maritime, energy, land remediation and regeneration and general civil engineering. Through VolkerWessels UK, it also delivers projects in the wider infrastructure market including rail, waste, highways, airport infrastructure, building construction and specialist structural repairs. VolkerStevin’s engineering teams have significant experience in undertaking all aspects of water contracts through the delivery of asset management frameworks, turnkey or traditional contracting and boast substantial in-house MEICA expertise. Its in-house MEICA team co-ordinate the design, specification and procurement of all process, mechanical and electrical equipment and provides support to our experienced site construction teams during installation.